Hardcover, Published in Mar 2012 by Pen & Sword Books Ltd. In August 1071, the Byzantine Emperor Romanus IV Diogenese led out a powerful army in an attempt to roll back Seljuk Turkish incursions into the Anatolian heartland of the Empire. 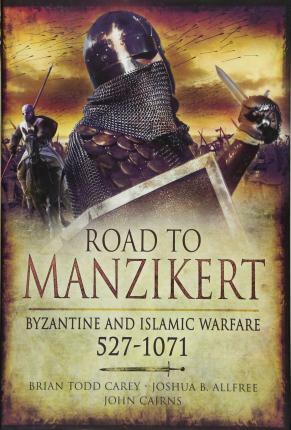 Outmaneuvered by the Turkish sultan, Alp Arslan, Romanus was forced to give battle with only half his troops near Manzikert. By the end of that fateful day much of the Byzantine army was dead, the rest scattered in flight and the Emperor himself a captive. As a result, the Anatolian heart was torn out of the empire and it was critically weakened, while Turkish power expanded rapidly, eventually leading to Byzantine appeals for help from Western Europe, prompting the First Crusade.